TimeTrak job management software provides a number of features that assist service coordinators with their day-to-day operations. 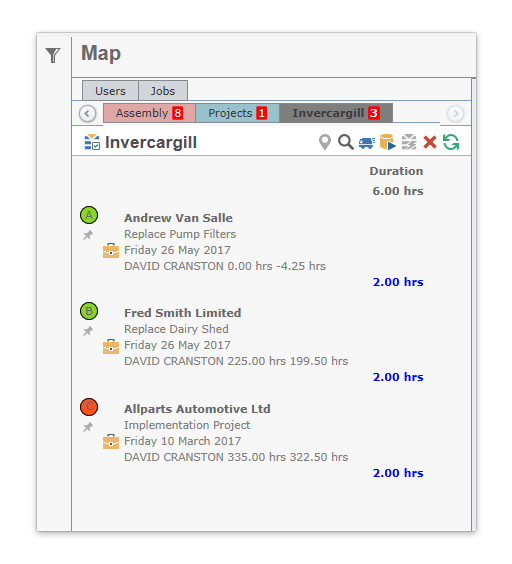 Providing a centralised web-based interface for tracking tasks, jobs or projects, TimeTrak assists to improve productivity. 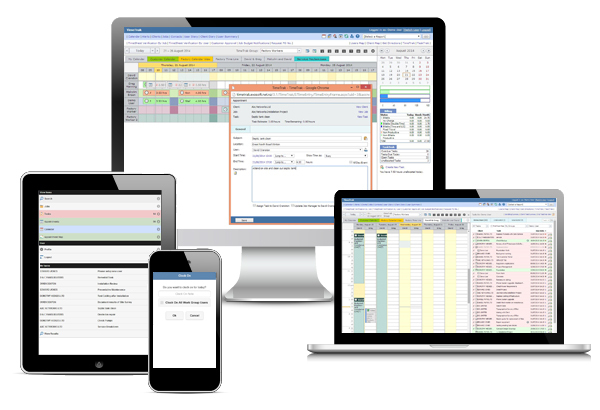 Whether you're doing maintenance work or a large installation project, on a quoted job or a charge-as-you-go job, TimeTrak enables efficient scheduling, on-site invoicing, plus more. Today’s customer expects you turn up on time and get the job done. So imagine having a service management software solution that gives you the flexibility to manage your business from any location, using just the one system – whether you’re in the field, at the office, catching up on work from home, or even on holiday. TimeTrak is the answer you’ve been looking for. Once you've created and dispatched a job in TimeTrak, technicians can easily add materials, time and services, making it simple to bill your customer using predefined rates. TimeTrak service management software will reinvent your service delivery, setting you apart from your competitors. How? By wowing your customers with technicians who can access full job and client details on the spot. TimeTrak keeps everything on track and your staff and customers happy. It comes equipped with everything you need to automate your business processes and centrally manage service calls across your organisation. Whether you’re out on the job or back in the office you can manage jobs, schedule staff, record billable hours, order materials, check compliance requirements, send invoices, take payments, plus so much more. With TimeTrak Professional, you can easily schedule technicians and equipment, and keep track of your business days, weeks or months in advance. Field technicians can easily view jobs they've be scheduled through TimeTrak Mobile. Once they complete a job, details will be sent straight back to the office. TimeTrak Queues are a great new tool to simplify the Service Coordinator's day. Reporting can help you understand your business better, no matter your size. TimeTrak helps you to create reports for profit and loss, work in progress, and debt collection. Talk to our team today for more information about TimeTrak or to organise a demonstration.